Curling up next to a warm, pleasant fireplace is a favorite pastime during the cold Wisconsin winter. 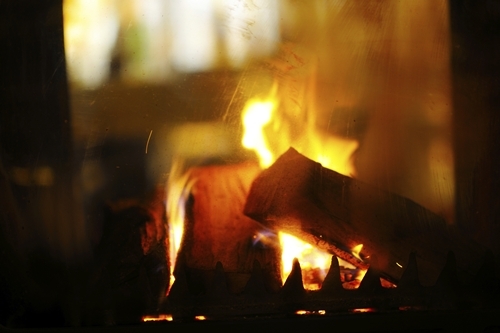 The long winter season is quickly approaching and many fireplaces are already being stacked full of logs and lit. An annual chimney sweep Milwaukee is important to ensure your chimney is prepared to handle an entire season of use. The expert Milwaukee chimney sweeps at Wisconsin Chimney Technicians offer some insight on the process for keeping your chimney functioning properly and safely this winter. Our Milwaukee chimney sweeps begin by setting up protective tarps and a chimney vacuum effect, shielding your home from any potential mess the cleaning process may create. We make sure your chimney will function properly after a thorough cleaning by first performing a complete Milwaukee chimney inspection, assessing your chimney’s condition and informing you of any structural issues we find. The comprehensive Waukesha chimney cleaning process begins after the inspection. Our Milwaukee chimney sweep process starts from the bottom up by hand brushing the firebox, damper and smoke shelf to remove the collected soot, creosote and other built up materials and deposits. Moving up the chimney, a large metal brush is worked up into the flue and out through the top, completely removing all debris and buildup on the walls. After cleaning the chimney from the bottom to the top, we work our way back down to ensure all debris and buildup has been removed. We finish the process by cleaning the hearth and all of our equipment, leaving your home completely mess free. The National Fire Protection Association recommends annual chimney inspection and chimney sweeping services so as to ensure your fireplace is functioning properly, safe from the vacuum effect produced by chimneys with airflow problems. Keeping your chimney clear and clean is especially important if you regularly use your fireplace. A congested chimney can result in a smoky home or, in severe cases, chimney and house fires. Regular burning creates a thick buildup of soot, creosote and other residues, clogging the chimney and increasing your chances for damage or a fire. Creosote is a highly flammable residue capable of completely blocking your chimney and greatly increasing your chances for a house fire. This issue is demonstrated in our Milwaukee chimney cleaning video gallery. The problems caused by creosote extend past house fires to include respiratory and other health issues caused by inhaling its hazardous fumes. Wisconsin Chimney Technicians provides thorough Milwaukee chimney cleaning services for factory-built fireplaces, brick masonry fireplaces, wood burning stoves, oil heating chimneys and gas fireplaces, guaranteeing your chimney functions safely and properly. We utilize years of experience to provide expert Milwaukee chimney inspections designed to find any structural issues posing a threat to your chimney’s integrity. Contact the chimney sweep Milwaukee experts at Wisconsin Chimney Technicians for top notch services capable of keeping your chimney safe and reliable all winter long.